She has been working as the curator of the Collection of Baroque Art and the Collection of Icons at the Slovak National Gallery. Since 2001 she has also been appointed an assistant professor and since 2012 even the Head of the Department of History of Visual Arts at the Faculty of Philosophy at Comenius University in Bratislava. Her primary focus is on plastic art and painting of the early modern period in Central Europe. She authored a monograph on the Gross family, a family of sculptors, from Spišská Sobota (2002) or a publication called Ars Inter Arma. Art and Culture from the Early Modern Period in Eastern Slovakia (2008). She has prepared several exhibitions and editorial projects at the Slovak National Gallery, such as Industrial Country? Central Slovakia mining towns in 16. - 18. century (2010) or Treasures of the Baroque between Bratislava and Kraków in National Museum Kraków (2017). 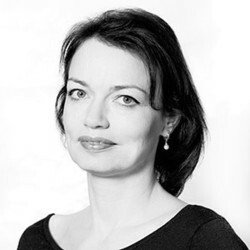 She has co-authored the publication Monuments of the Franciscan Order Created in Slovakia in the 19th Century and Konrád Švestka (Beňová, K. - Chmelinová, K.; Martin 2013). She was also a guest editor of ARS Magazine published by the Institute of History of Art at the Slovak Academy of Sciences with a thematic focus on the monastic culture of the early modern period (2/2013).